I was extremely excited to receive a shipment of 25 Rappahannock River Oysters and 25 Olde Salte Clams from RRO for the second challenge of the BB&T Charleston Wine + Food Festival Recipe Contest. I was excited mostly for one reason: shucking oysters has been on my “to learn” list for a very long time. I’ve always thought that it is an acquired skill and that I would probably fail miserably when I tried. To be honest, I didn’t like oysters for a very long time. I think I tried my first oyster when I was about 6 years old. I declared it a slimy flavorless thing right after swallowing it. I didn’t have an oyster again until a friend took me to a restaurant some years ago. My friend Jan and I walked in, and the only seats were at the bar where they serve oysters that they shuck right in front of you. We were seated in David’s section. To David’s surprise, I declared myself an oyster hater. He made me try just one. I don’t know what clicked at that point in time, but ever since then I’ve been eating every oyster that comes my way. First you will need an oyster knife. I received this one from RRO, with a lovely wooden handle. 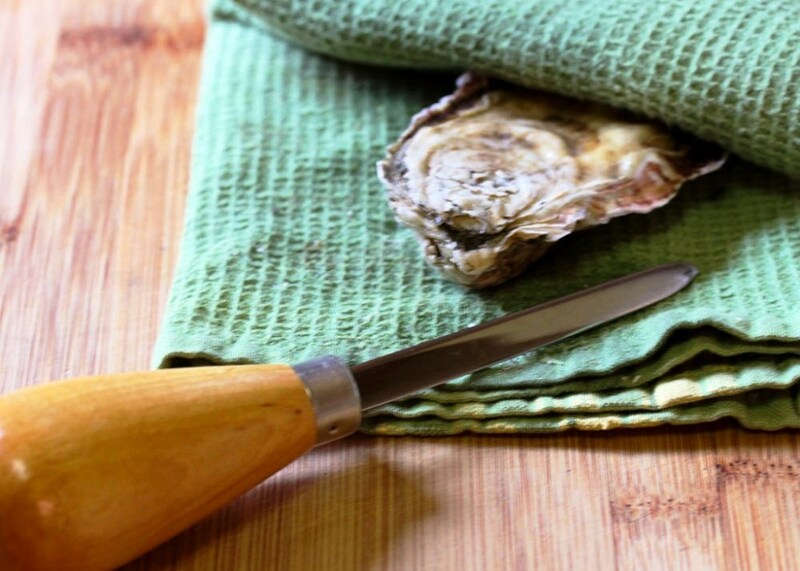 Oyster knives are blunt, except for the tip which can be sharp in some cases. See that little dark crevice? That’s the hinge, where you want to insert the point of the oyster knife. 4. Find the dirty corner crevice (the hinge). Insert the tip of the oyster knife into the hinge and carefully twist (rock up and down and side to side), until you break the seal and it pops open. You will soon realize which motion works best for you. 5. Wipe the tip of the knife on your kitchen towel, it will be dirty and you don’t want to contaminate the inside of the oyster with that. Then insert the knife back in and run against the top of the inside of the shell. Remove the flat top. Now run the knife under the oyster on the concave side. 6. Voila! You are done! You can flip the oyster over for a nicer presentation. 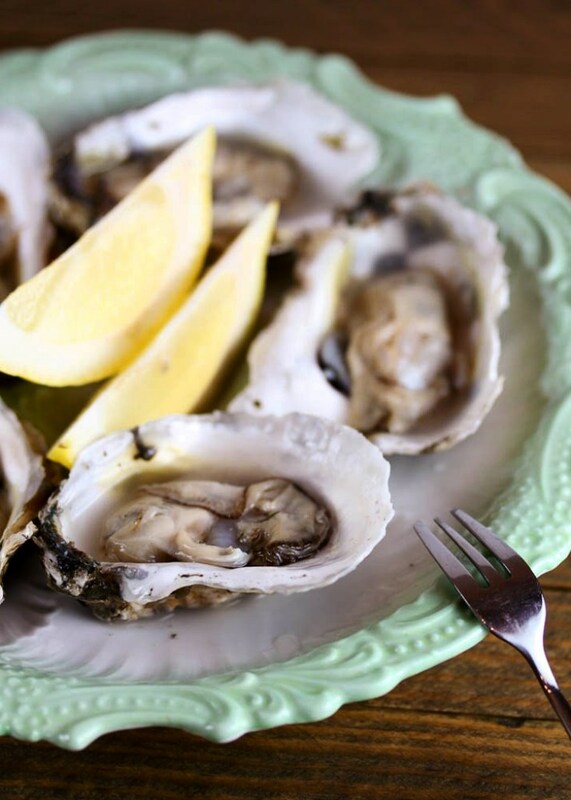 Best way to serve oysters: on a plate with a lemon wedge. It is almost sacrilege to cook these oysters and clams. But it is a recipe contest after all! My inspiration came from the thanksgiving table. I wanted to create little dishes that could be served as appetizers. For the oysters, I wanted to use the flavors of oyster, cornbread, walnut, and cranberry stuffing. For the clams, I wanted to do something Spanish flavored. In my family, we typically make paella and other Spanish tapas for Thanksgiving. Yes, I know, that’s kind of odd, but we do have turkey and ham at the Christmas and New Year’s table. 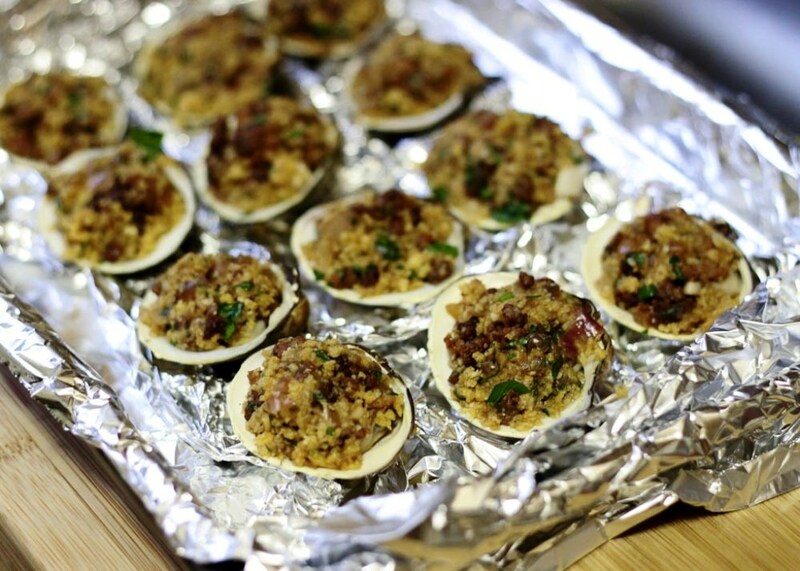 So the clams are stuffed with a breadcrumb mixture that’s flavored with spicy Spanish chorizo and Manchego cheese. 1. Prepare three shallow bowls: add the flour to the first bowl and season with salt and pepper, add the eggs to the second one and beat until well combined, add the cornmeal and ground walnuts to the third one and season very well with salt and pepper and a pinch of cayenne pepper. 2. In a medium Dutch oven or frying pan, add enough oil to have 2 inches of oil in the pot. Heat on medium heat until 370°F. 3. Place each oyster in the flour, then the egg, then the cornmeal. 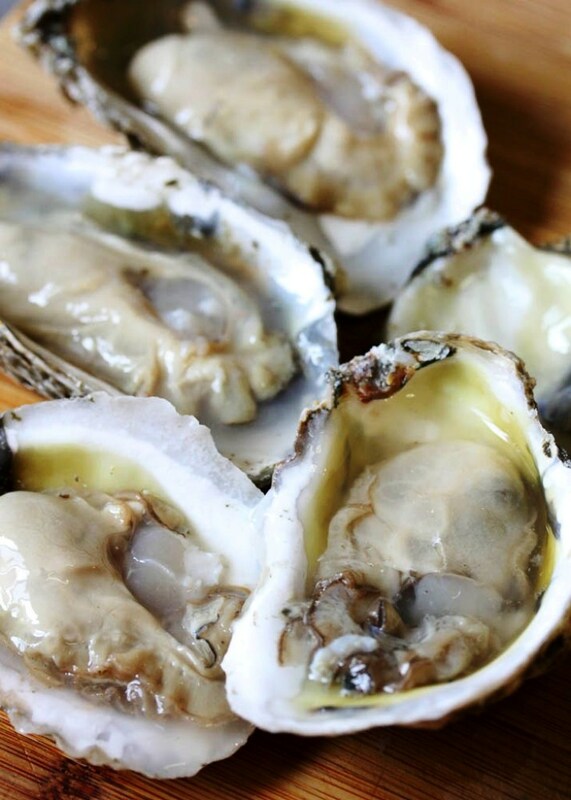 Pack the cornmeal mixture around the oyster with your fingers. Fry until golden brown on both sides. Sprinkle with salt. 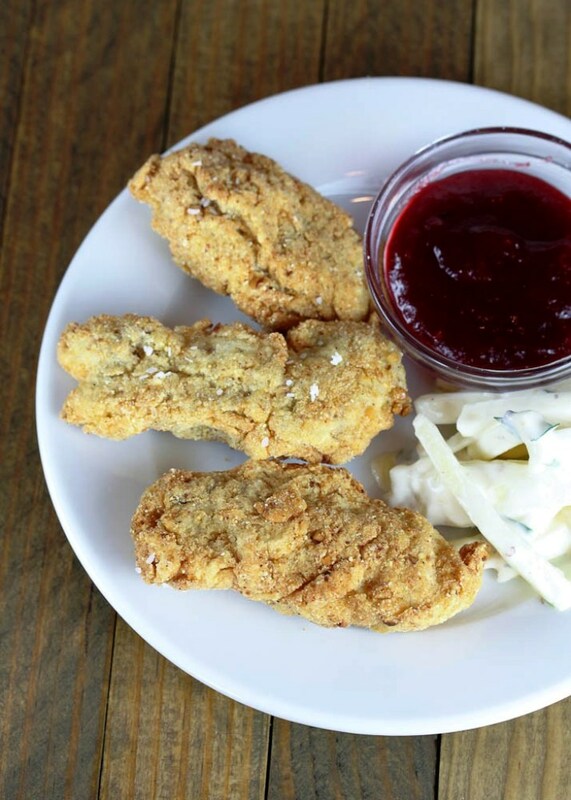 Serve with the celery root remoulade and the cranberry dipping sauce. 1. Place all ingredients in a bowl and mix well. Season with salt. Chill until ready to serve. 1. In a medium saucepan, melt the butter over medium heat and sauté the shallots and garlic. Add the rest of the ingredients and cook over medium-high heat, until the cranberries burst and the sauce thickens, about 15 minutes. 2. Strain the sauce into a bowl using a fine mesh strainer, pressing on the cranberries to release all the liquid. Alternatively, pass through a food mill. Discard the skins. 3. Place sauce in a jar until ready to serve. 1. Scrub clams with a stiff brush. Place the clams in a large bowl and cover with water, add a large pinch of salt to the water and dissolve. Let them sit for 20 minutes. Carefully remove them from the bowl and rinse them with cold water. 2. 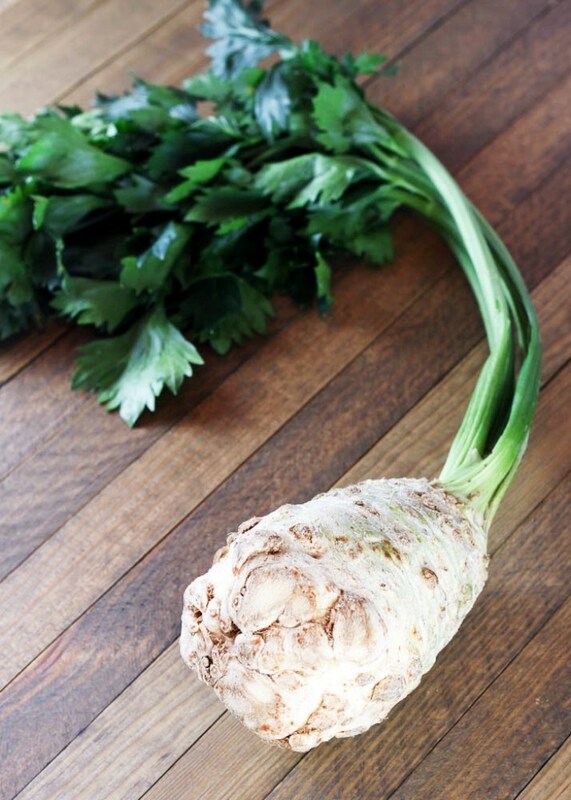 In a large stock pot, add the water and bring to a simmer. Add the clams and cover with a lid. 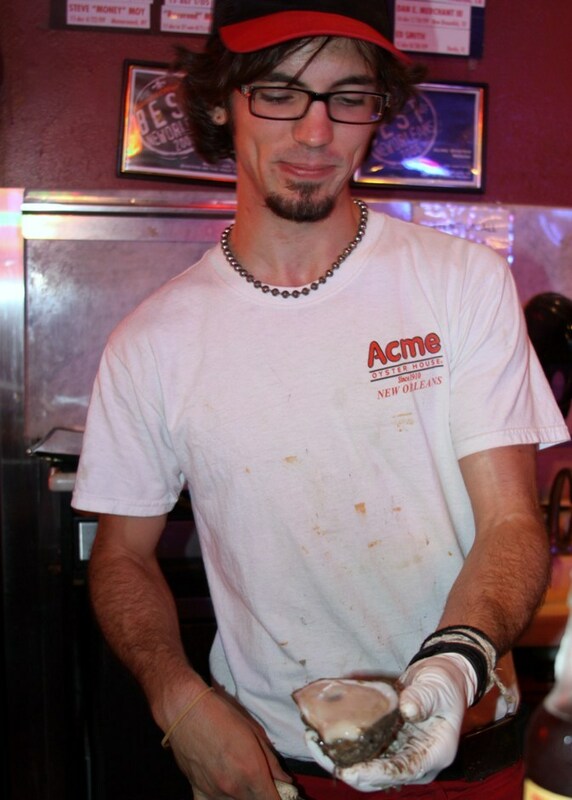 Steam the clams for 5-7 minutes, until they have opened. Remove from the pot. Discard any clams that did not open. Remove from the shell and set aside. Reserve 12 half shells. 3. In a large skillet, over medium heat, add about 1 tablespoon olive oil. Once the oil is hot, add the chorizo and cook until brown. Add the shallots and the garlic, and cook until the shallots are translucent. Bring the heat to high, add the wine and cook until the wine reduces completely. Place the chorizo mixture in a bowl, and add the panko, grated manchego, parsley, and olive oil. Season with salt and pepper to taste. 4. Place 1 clam inside one clam shell, top with 1 tablespoon of the filling. Sprinkle with a drop of olive oil. Place the clams in a half cookie sheet that has been lined with crumpled aluminum foil (to prevent them from moving around). 5. 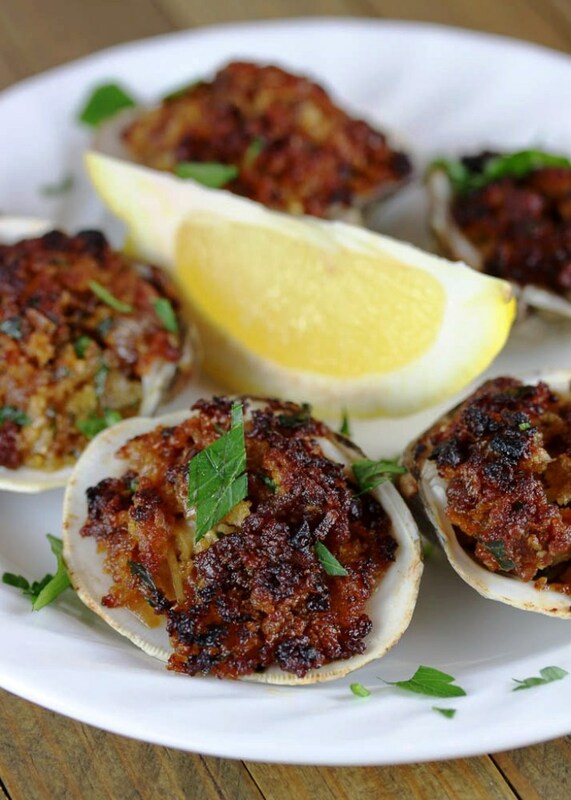 Heat your broiler and broil the clams until the stuffing is golden brown, 3-5 minutes. Watch them closely, you don’t want them to burn. 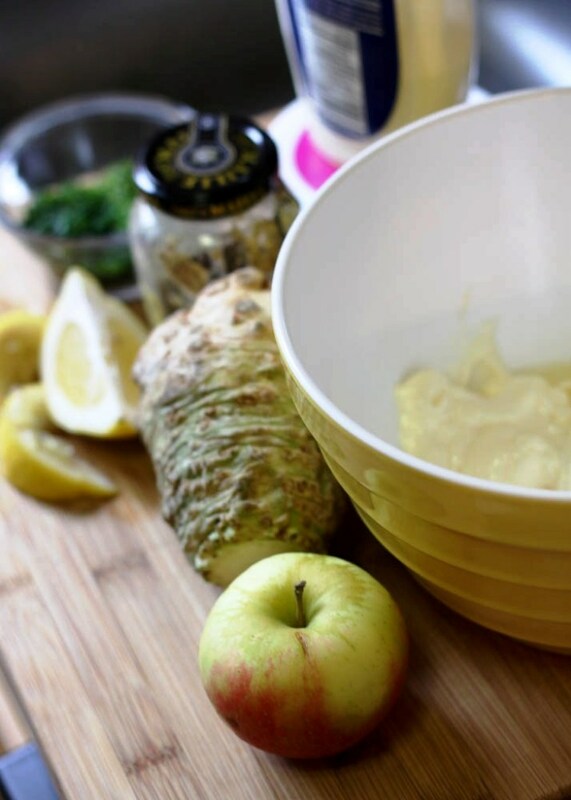 Transfer to a plate with tongs and serve with a lemon wedge. 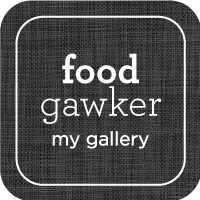 Vote for your favorite recipe here. 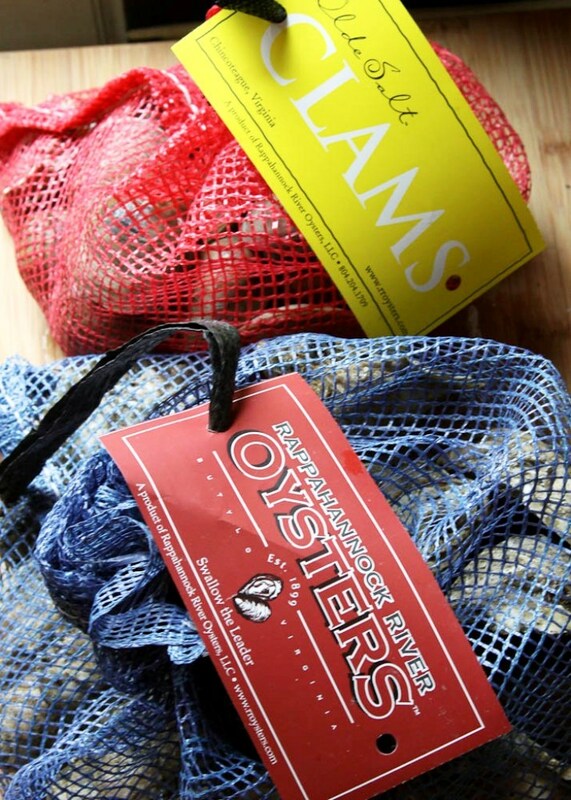 You must first like the Charleston Wine + Food Festival Page and then click on the Lambs and Clams Contest Image. Facebook users can only vote once. What do you serve at your thanksgiving table?